"Just what is this Internet thing?" 1994: First piece of spam appears in USENET newsgroups and is quickly removed. "Well, that should be the last of that,” say users. --- Release of Windows 95 and Internet Explorer bring sharp rise in memory sales. 1996: Instant messaging created as a way for people all over the world to interrupt each other. --- AOL begins its efforts to make sure that no human being on Earth is without an AOL sign-up disk. 1998: 3lit3 hax0rz, d00d: Teens become most prolific illiterate writers in history. --- Internet gold rush: Silicon Valley geeks crushed under heaps of investment money. 1999: Napster introduced. 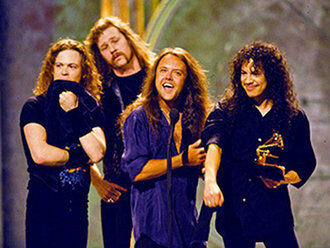 Rampant piracy drives Metallica to proclaim a life of abject poverty. --- Everquest Released. People give up boring, normal lives in exchange for boring virtual lives. 2000: Y2K apocalypse averted. Populace comes out of bunkers, goes back to playing Everquest as if nothing ever happened. 2001: Blogging invented. Promises to change the way people bore strangers with anecdotes about their pets. Internet bubble bursts. Investors take back money and hide it under a mattress. Geeks go back to Burger King. 2002: With the fall of Napster, numerous other P2P networks rise to allow users to share movies as well as music. "I guess we should have seen that coming," says entertainment industry. 2003: Apple Computer introduces Apple iTunes Music Store, which allows people to download songs for 99 cents each. --- Spam becomes a server-clogging menace. It accounts for about half of all emails. 2004: Mark Zuckerberg launches Facebook from his Harvard dormitory room in February 2004. 2005: YouTube is launched, marking the beginning of personal media age. And there's co-founder Steve Chen, sitting on a ledge outside with a large coffee and his cell phone — looking like a clerk from a skateboard shop. 2007: Legal online music downloads triple to 6.7 million downloads per week. --- Colorado Rockies' computer system crashes when it receives 8.5 million hits within the first 90 minutes of World Series ticket sales. 2008: In a move to challenge Google's dominance of search and advertising on the Internet, software giant Microsoft offers to buy Yahoo! for $44.6 billion. --- In San Francisco federal district court, a judge orders the disabling of Wikileaks.org, a Web site that discloses confidential information. 2009: Push technology makes things more instant – email, IM, video, news. --- Cloud hosting, otherwise known as cloud computing, is taking the internet by storm. --- Application Programming Interfaces (APIs) are fully automated, gain widespread use. 2010: Facebook has reached the 500 million-user mark. Zuckerberg is named Time magazine's Person of the Year. 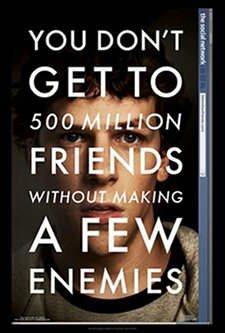 “The Social Network” soon to win big at the Golden Globe Awards. So, where would we be in 2011 without the Internet? I would be stuffing manila envelopes with black & white print ads en route to 300 U.S. newspapers. And missing out on the happenings of my high school friends from twenty-some-odd years ago. What would you be missing out on today without the Internet?